Although Kevin Durant dreamed of playing professional basketball as a kid, he had a fallback plan — pursuing a career in meteorology as a TV weatherman. Durant’s hoop dreams became reality when he was drafted by Seattle as the No. 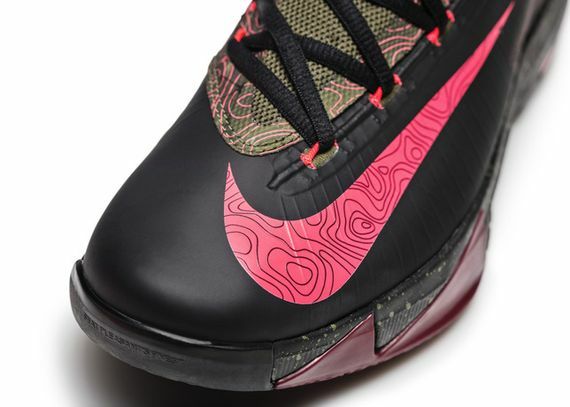 2 overall pick in 2007, but his early fascination with the weather live on in the new KD VI Meteorology colorway. 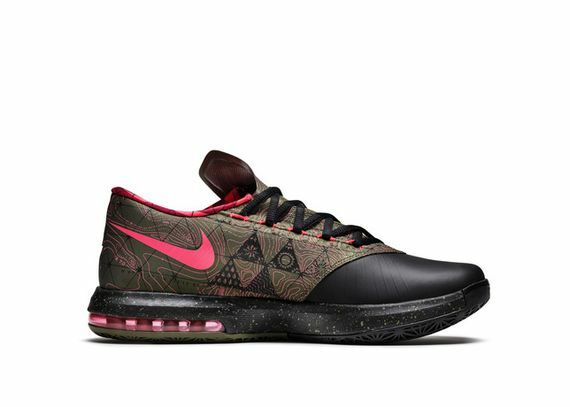 The shoe features a stealth black-and-olive green upper, and comes alive with a doppler radar mapping graphic in atomic red and reflective detailing. 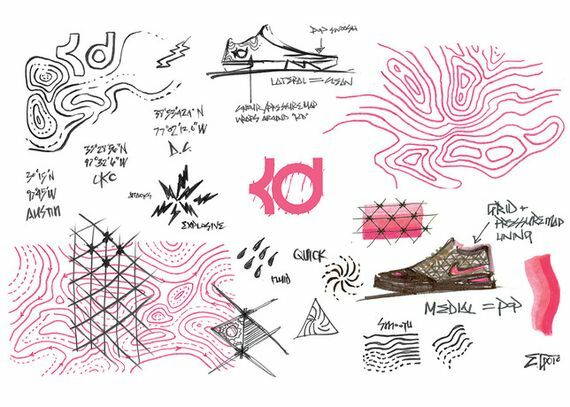 Topographical map and grid patterns on the upper showcase locations connected to Durant’s journey, appearing as reflective longitudinal coordinates for Austin, Texas; Oklahoma City, Okla.; and Washington, D.C. 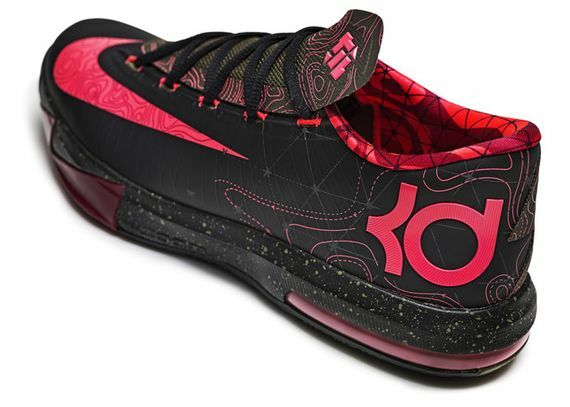 Built for Durant’s versatility, the KD VI allows him to play as quick as a guard yet as stable as a center. Inspired by the technical detailing of a precision wristwatch, designer Leo Chang took this shoe to new places with a low and lightweight silhouette. 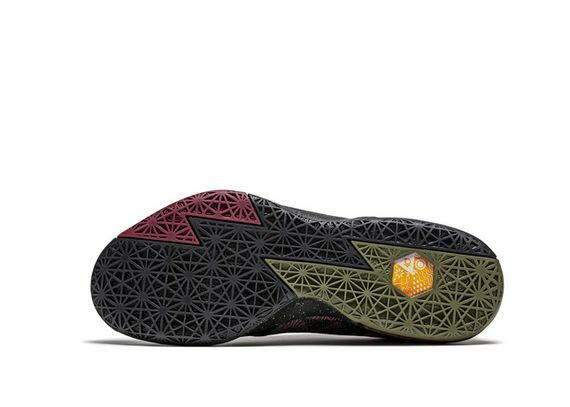 It features Nike Flywire, Nike Zoom, Max Air and Hyperfuse construction. 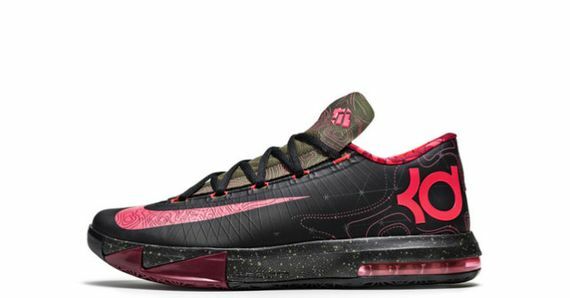 The KD VI Meteorology will be available globally beginning Aug. 3 at select retail locations and Nike.com. 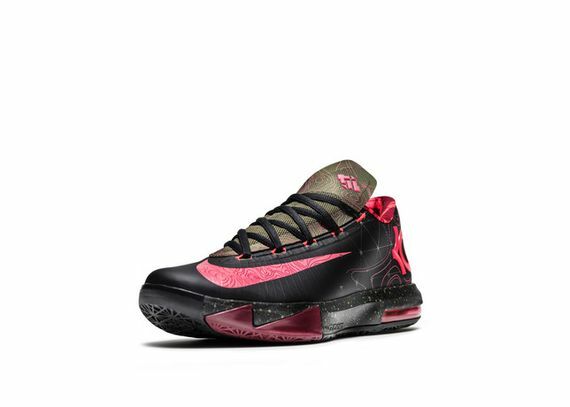 The Nike KD Elite Crew Socks matching the KD VI Meteorology shoe are now available at Nike.com.